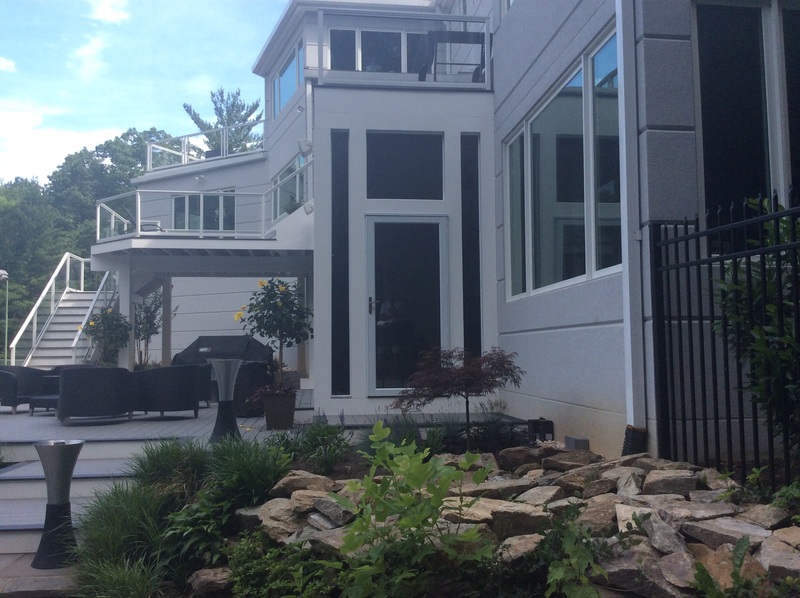 Our recent project in Potomac, MD, is an urban oasis! 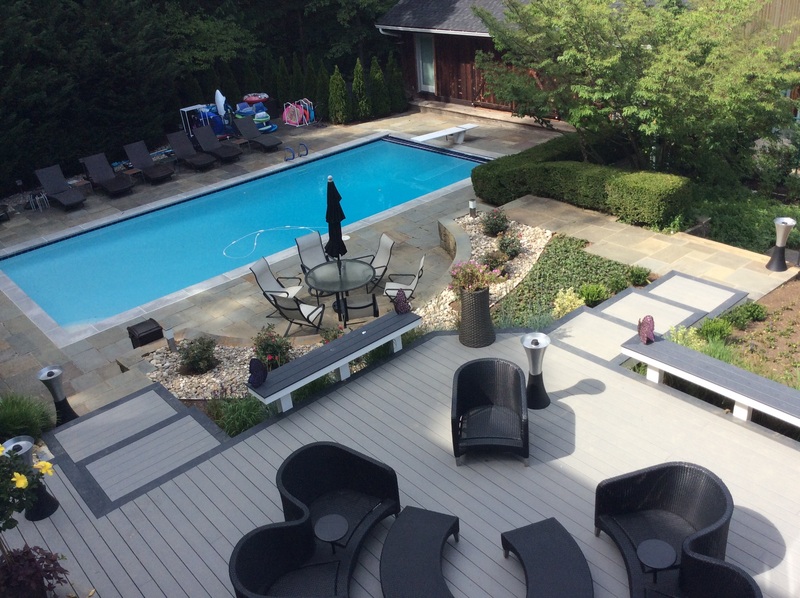 Archadeck of Central MD is proud of the project we recently completed for our clients in Potomac, MD. They challenged us to create a custom outdoor living oasis to serve a multitude of functions. The homeowners wanted a back deck to have an open area, but also a screened in one as well, to have a protected space when the weather wasn’t cooperative with their outdoor plans. 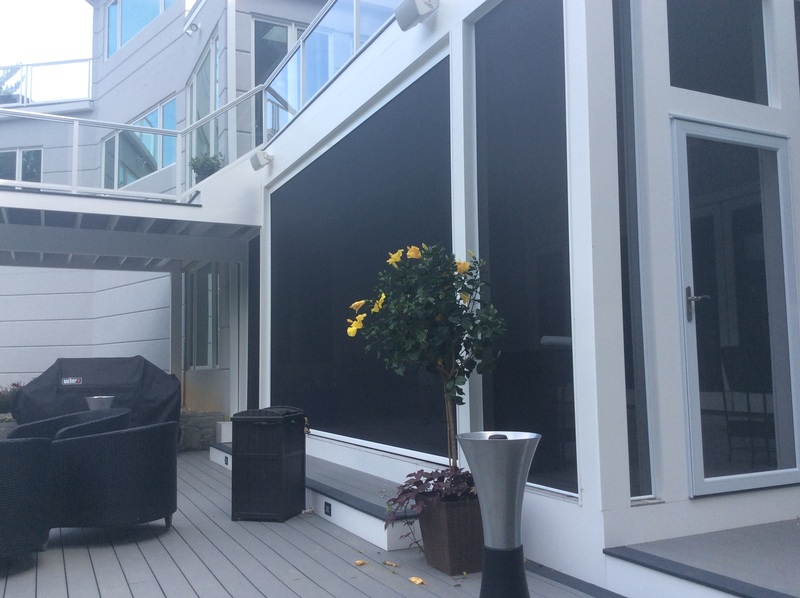 Another important aspect to the project was that the house is contemporary in style, so the new deck had to have a sleek appearance to look as if it was original to the home and not an appendage. After analyzing the three-level property, we knew that we could pull off an amazing 3-tier outdoor entertaining deck addition that would step down to the family’s pool and beautifully landscaped yard in a truly elegant way. Potomac, MD, proposed design shown to clients through rendering. We wanted to take advantage of the steep drop in the property by connecting all the levels with a series of stairs that would easily flow down to the yard, give a significant wow factor and really tie everything together. We started with the upper deck that promises stunning views and conversational seating for a quiet get together or even reading a good book. 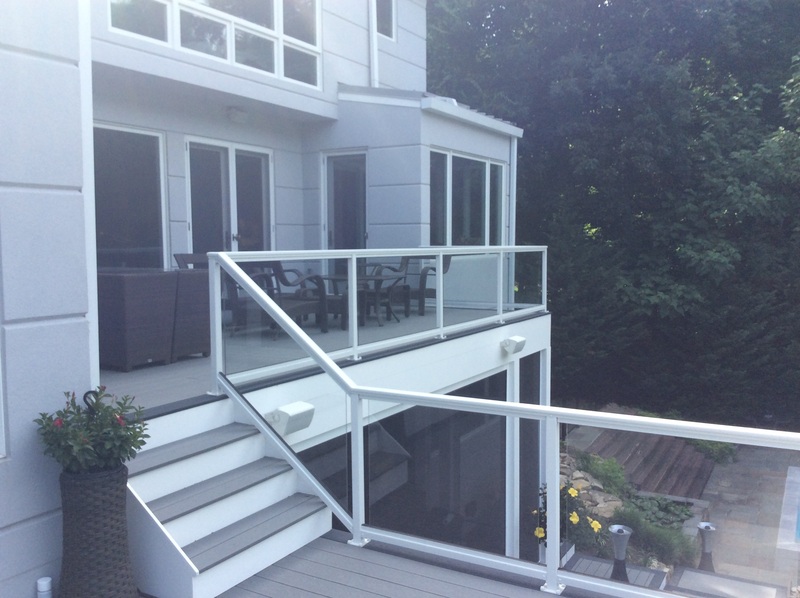 Aluminum railing by Nexan with glass panels allows the view of the grounds below to remain uninterrupted and would capture that modern feel the homeowners were after. Everything is structurally supported by two engineered beams that are cleverly clad in PVC so they can’t be seen and blend into the configuration seamlessly and require little to no maintenance. Then just a few steps down showcases a sun deck that is perfect for relaxing on the lounge chairs with a margarita in the sunshine. Another curving flight of stairs reveals a patio where friends and family can enjoy cooking at the grill, dining or hanging out on the comfortable chairs just above the pool. We added custom overflow bench seating would help bring additional seating to the space without disrupting the traffic flow. Thanks to the ingenious use of the Trex Rain Escape system paired with hidden gutters, we were able to give the customers a roomy screened in porch under the main two-story deck. The family can still enjoy al’fresco fun if it rains or even retreat from bothersome insects if they start biting. It’s not a bad spot for an afternoon snooze in the outdoors either! 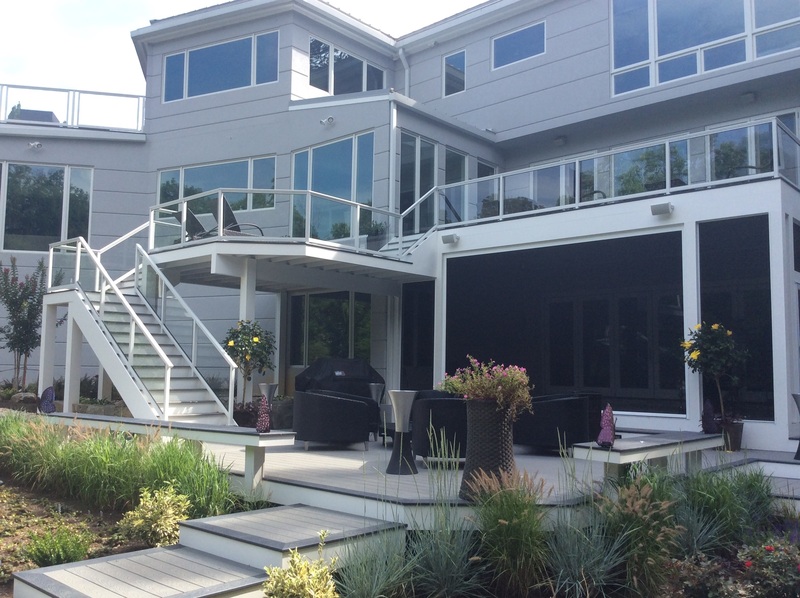 We were truly fixated on the details of this project, and the deck was entirely built using Trex Select decking in hues of gray to match the home exactly—even the PVC that covers the 1×6 posts was meticulously color matched. The deck is also picture-framed in a darker tone border to define it and add heaps of visual interest, too. I’m so proud to say that the design team and our builders pulled off some serious magic with this one; and these Potomac, MD homeowners are delighted with the results which is steeped in high-end urban flair and is entirely low maintenance thanks to the use of high quality materials. The deck not only adds value to the home, but it enhances the way our customers live outdoors. They can take advantage of all the benefits that the fresh air and sunshine provide, and spend quality time with their friends and family entertaining in style with little fuss in their new backyard oasis. 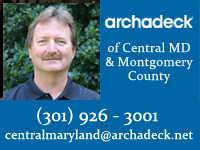 Archadeck of Centrail Maryland would be happy to chat with you about your backyard project and how we can help you create the deck of your dreams. 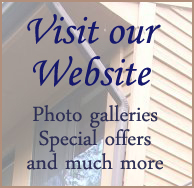 Call us at (301) 926-3001 or email us at centralmaryland@archadeck.net. Our consultations is free but the results can be priceless! You can view more stunning images of this project, and many others by visiting our project galleries on Houzz!